Today we're highlighting a YA contemporary story about theatre and the performing arts. S.M. 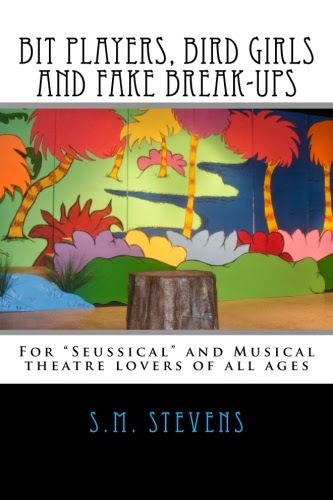 Stevens saw the lack of YA books about musical theatre and wrote Bit Players, Bird Girls, and Fake Breakups. This unique book is available for free through the Kindle Lending Library! Senior year is not going as planned. The drama club Sadie Perkins co-founded is being hijacked by the new director, college applications loom like a sinister unknown, and Sadie’s boyfriend Alex moves in with her family while his mother is in the hospital. That’s right, moves in. They eat every meal together, sleep across the hallway from each other, and share a bathroom. Can you say awkward? Making it worse, they have to pretend to be broken up, or Sadie’s old-fashioned parents won’t let Alex stay. Acting and real life blur as Sadie and Alex struggle to maintain their roles. At least Sadie has theatre to keep her sane. She’s got a lead in Seussical, and satisfies her need to create with Whossical, a student-produced satire of the beloved Dr. Seuss-themed musical. If Sadie’s choosing and winning the roles she wants, why does she feel so out of control? Sounds great, right? Happy reading!